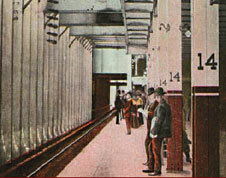 River of Steel, a 30-minute documentary film about the building of the New York City subway, tells the story behind the most famous subway system in the world, and how it shaped the city that built it. 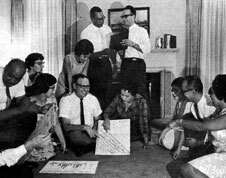 Shaker Heights: The Struggle for Integration highlights one town's innovative efforts over 40 years to forge and maintain a successful, integrated community. 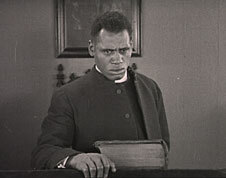 Wycliffe Gordon’s score for Oscar Micheaux’s 1925 classic silent film Body and Soul premiered in a live performance at the 38th Annual New York Film Festival, September 24, 2000. Stuart Math Films and Coup de Cone Music co-produced this soundtrack recording, which is available now, for the first time, on DVD. 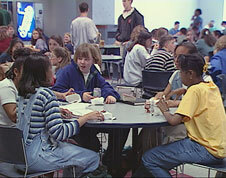 Building Bridges is a 20-minute educational video about the Student Group on Race Relations or SGORR, a student-run high school program in Shaker Heights, Ohio, that works to combat self-segregation among Shaker students. A 25-minute documentary to help new parents prepare for the adjustments in life-style they will need to make following the birth of a child. New parents can experience post-partum anxiety, which is often made worse because they were not prepared for the changes the new child brings. This film provides support and help for these new parents. 65 couples from 23 different countries dance to Lindy Hop original Frankie Manning’s favorite song, Shiny Stockings. This video was produced to celebrate Frankie’s 80th birthday and was shown during the Can’t Top the Lindy Hop! event in New York City in 1994. Can't Top the Lindy Hop! Can’t Top the Lindy Hop! 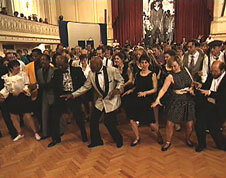 is a 90-minute celebration of Lindy Hop original Frankie Manning’s 90th birthday celebration in New York City in 1994.